This week on ‘The Writing Life of:‘ I am thrilled to be interviewing author Tracey Scott-Townsend. 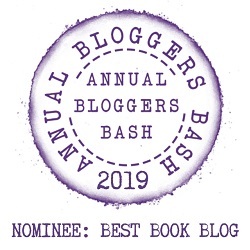 Tracey will be sharing with us detail of her writing life, telling us all about her latest book ‘Sea Babies‘, which will be released on 21st February 2019 and answering a few fun questions too. Tracey is the author of four novels: The Last Time We Saw Marion, Of His Bones, The Eliza Doll and Another Rebecca. Her novels have been described as both poetic and painterly. Tracey is also a poet and a visual artist. All her work is inspired by the emotions of her own experiences and perceptions. She has performed her spoken word pieces at various open mics, Hull Freedom Festival Poetry stage (2017) and won an Apples and Snakes Deranged Poetesses commission for pecha-kucha-style ‘Maidens’ at ARC Stockton in March 2018. She has a Fine Art MA (University of Lincoln) and a BA Hons Visual Studies (Humberside Polytechnic). She has exhibited paintings throughout the UK (as Tracey Scott). She is the mother of four grown-up children and now spends a lot of time travelling in a small camper van with husband Phil and their rescue dogs, Pixie and Luna, gathering her thoughts and writing, always writing. I wanted to be either a writer or an opera singer when I was a child. But my mum said neither of those were proper jobs and I ought to consider going into nursing instead. I also went through a phase of wanting to become a nun but that soon passed. I’ll list my favourite childhood authors by books. Alison Uttley wrote A Traveller in Time. I remember thinking about this book while on my paper round, aged thirteen. I got to the end and looked into my empty bag, hoping I’d delivered the papers correctly, as I’d been so engrossed in my thoughts of the book. I re-read A Traveller in Time recently on a camper van trip around Scotland. Like many books for children back then, it was beautifully written and could stand up as a contemporary book for adults now. Elyne Mitchell wrote The Silver Brumby and all its sequels. I was horse mad and remember picking that book off the shelf at our local library, where we spent every Saturday afternoon. It had a blue cover with a white horse on the front. James Matthew Barrie, who wrote Peter Pan in Kensington Gardens – a hugely influential book on my childhood and also in The Last Time We Saw Marion, my first novel. I wrote my first ‘novel’ at the age of ten. It was called Bonny, King of the Brumbies and it was heavily plagiarised from Elyne Mitchell’s Brumby novels. But I remember writing poetry from the age of seven, and at ten or eleven I copied down the publisher’s address from the back of a poetry book I got for Christmas, and sent off a selection of my own poems. I fully believed I would receive a box of books back with my words printed in them, but it was another forty years before that happened! I continued to write throughout my teens, twenties and thirties but I was bad at completing projects I’d begun. I have a box full of half-written novels that I carried around from place to place (I’ve moved house twenty-seven times!) I studied fine art and ran workshops for years so my writing took second place to my art. But it was during my first art degree that I wrote the first drafts of both The Last Time We Saw Marion (my first novel) and Another Rebecca (recently re-released by Wild Pressed Books). Another twenty years went by and it was becoming a secondary school teacher that gave me the discipline to rewrite and polish The Last Time We Saw Marion into shape and for it to be accepted for publication by a small press called Inspired Quill. I set myself a target of two to three thousand words per day when I’m writing a new novel. I divide this into three two-hour sessions, or more if I haven’t yet met my target by the end of my set working hours. It means I can complete a first (very ‘dirty’) draft within a month or two. Another year or two of rewriting, editing and polishing will follow. I haven’t done, no. I would say I’m somewhat neuro-atypical and I find it really difficult to present with ‘lies’ of any kind. (I’m not calling pseudonyms lies in any way – that’s just the way my brain works!) I’ve often wished I’d returned to my pre-married name as a writer – because Tracey Wilson was the little girl who wanted to be a writer in the first place – but I just feel I have to do everything as the me I am now. What goes on in the shed, stays in the shed, he he. I write on my laptop, although I scribble copiously in notebooks and I wrote my early works on a typewriter. I have four novels published (and one short poetry collection). Novels five and six are fully-edited and ready for publication – Sea Babies will be released by Wild Pressed Books in late spring next year and The Vagabond Mother either the end of 2019 or beginning of 2020. I also have a 50,000 word first-draft of Festival and a 60,000 word first draft of Crystal Clear written and awaiting their first edits. A bit of both! In the past I was a definite pantser, but these days I make an effort to plot somewhat more thoroughly, though of course the characters often take their story off in whatever direction they choose, and I then have little say in the matter! But I would say I’m aiming to become more of a plotter in general. Yes, I do read all the reviews. And although negative comments can be hurtful, I always give them due consideration as they might have something to say that could improve my writing. My ‘latest’ book is Another Rebecca, but since this is a re-release I’m going to talk about Sea Babies. I began gathering ideas for Sea Babies in 2014 after reading Elisabeth Gifford’s Secrets of the Sea House. We visited the Outer Hebrides for the first time in our camper van and I came up with the basic story. But it was also an online video of the performance artist Maria Abromović coming face-to-face with her ex-lover after thirty years that helped shape the novel’s form. Sea Babies will have taken five years from inception to publication. I let the characters’ names come to me. I don’t know how it happens, I just think about who I want them to be and their names come. They have to feel right. In Sea Babies, Lauren is now a middle-aged woman – but the book also follows her youthful love affair with Neil, the other main character. Lauren has recently suffered the loss of her foster child Sheena, and is about to begin a new life and a social work job on the Isle of Lewis. There’s another tragedy that’s never far from the back of her mind – the abortion she had when she was twenty-three. Sheena’s death has brought this to the front of her mind. Lauren’s sitting at a café table on the ferry to Lewis when a hand plonks a mug of tea in front of her. Glancing down she notices the distinctive scar on the back of the hand – it’s the scar she gave Neil with a vegetable knife, shortly before they split up. They haven’t seen each other for thirty years. Lauren has to decide whether the wounds of the past can be healed – like the scar on the back of Neil’s hand – or whether her sorrow needs to be buried for good, with the reward of one great and final act of selflessness. It was hard writing the scenes in the past when Lauren is trying to come to terms with the loss of her baby. I drew heavily on my memories of losing my first daughter after six months of pregnancy. Sea Babies was originally going to be called The Foam of the Sea, from a W.B. Yeats poem (The White Birds). I liked the line in the poem that goes “I would that we were, my beloved, white birds on the foam of the sea!” But I also had in mind The Sea Baby, which is a short story by Eleanor Farjeon, as featured in Shirley Hughes’ Stories by Firelight. 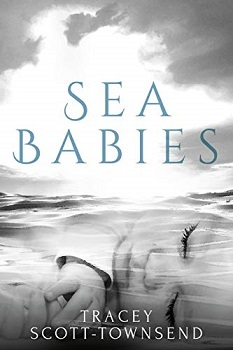 When my editor suggested I change The Foam of the Sea to Sea Babies – a more focused title, it made perfect sense to me and I agreed. This has been the case with most of my books but Sea Babies has only been read by my editors and by Beta readers who are not family members. After the book is fully edited (up to eight edits, passing the book back and forth with an outside editor) I submit the book to my publisher and we undergo a further set of edits before the book is scheduled for publication. The date set is often a year ahead of acceptance. My first three books were published by Inspired Quill. My husband and I now run our own indie press called Wild Pressed Books and I’ve decided to publish through this channel from now on. I cried a little, because it’s an emotional ending! I’m really hoping to get the chance to draft out a new novel for NaNoWriMo in November. Then it’ll have to be put aside while we at WPB continue preparations for the launch of And the Swans Began to Sing: an English translation of an Icelandic narrative nonfiction by our author Thora Karitas Arnadottir which is due to be released on 10th January, 2019. After that it will be all-out preparations for Sea Babies in late April. On a whim, I’m going to go with scampi and chips. Delicious, crispy on the outside, soft on the inside chips with plenty of salt and vinegar. The Lake House with Sandra Bullock and Keanu Reeves. At this moment, Leona Lewis, singing ‘Run’. A huge property and land on the Scottish coast, from which to run an artistic, musical and creative haven where children who had no family or an unstable background could come and live. There would be vegetables to grow and animals to look after and they would be encouraged to write, to make music and art. You can find out more about Tracey Scott-Townsend by visiting the website/social media sites below. I would like to say a big thank you to Tracey Scott-Townsend for sharing with us details of her writing life, and for a wonderful interview. I love reading about other writers. It is always so interesting to me. I get to find new books! Wonderful, that’s lovely to hear. Great interview. Love Tracey’s new book too. I love reading author interviews! lovely article! LOL “what goes on in the shed, stays in the shed” – wonderful interview! I know, such a great memory. Such great interview questions — she sounds like a delightful person and her books sound fab! Thanks for the post! Wonderful interview! Very touched by her “hardest scene to write” answer. Great interview! Interesting that she wanted to be an opera singer once! Thank you. I know you don’t find many people wanting to be opera singers. Glad you like the interview, it was lovely to feature you. Thank you. A Scottish Island sounds ideal.